The party inspiration for our client’s event was based on the popular novel. Our themed experience designers began with hand drawn sketch representing a visual journey of nonsense and amusement. Then, our wood shop artisans proceeded in crafting award-winning custom props creating a whimsical visual adventure that enraptured the young and young at heart. 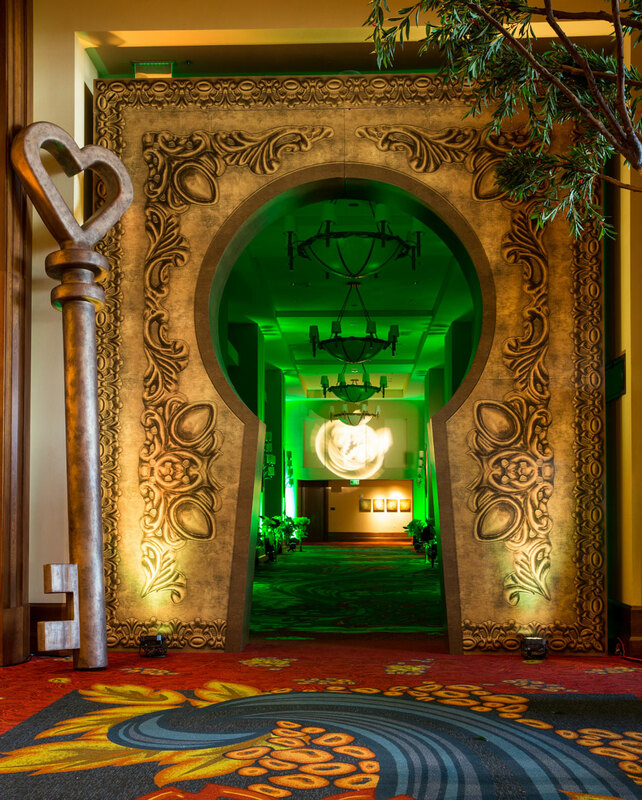 An oversized key and uplit grand keyhole gave the guest the feeling of being a small as Alice. Guests were in giddy with anticipation as they entered the passage to Wonderland. This entrance was created by hand by our woodshop artisans and it’s frame resembled a vintage, brass keyhole. 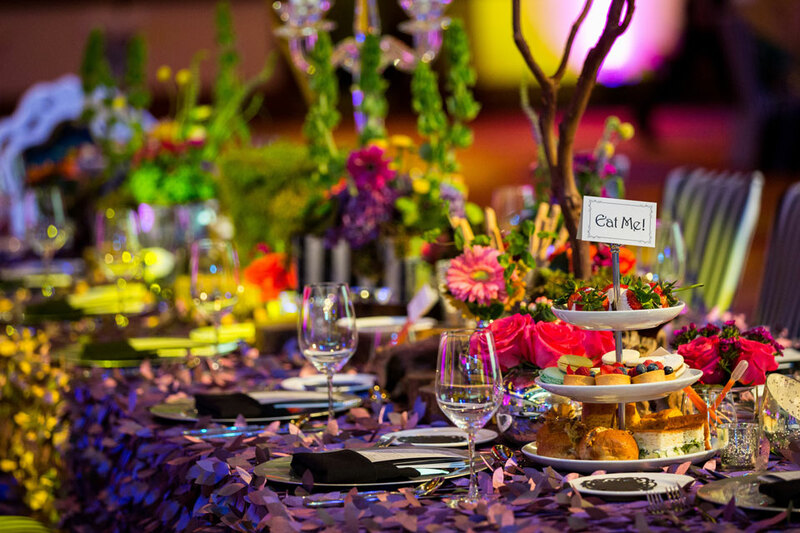 No Mad Hatter tea party is complete without the “Eat Me Cake” table. 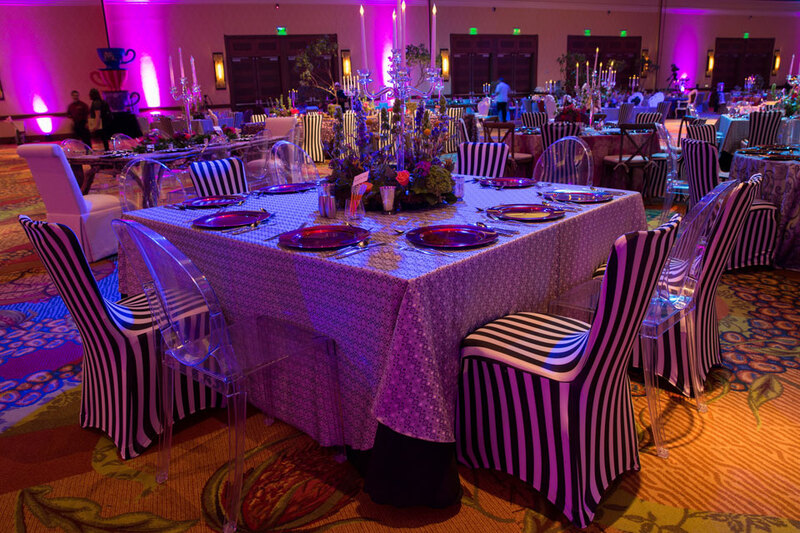 Wonderland came to life as the perfect little bites and details were placed on top of our Leaf Petal Taffeta 120” inch tablecloths. These majestic mushrooms made everyone feel as tiny as Alice did when she traveled through the Mushroom forest.These custom props were first developed from hand drawn renders created by The RKD Studio and then created in house at the Illusions Rentals and Designs creative shop out of foam and various materials. 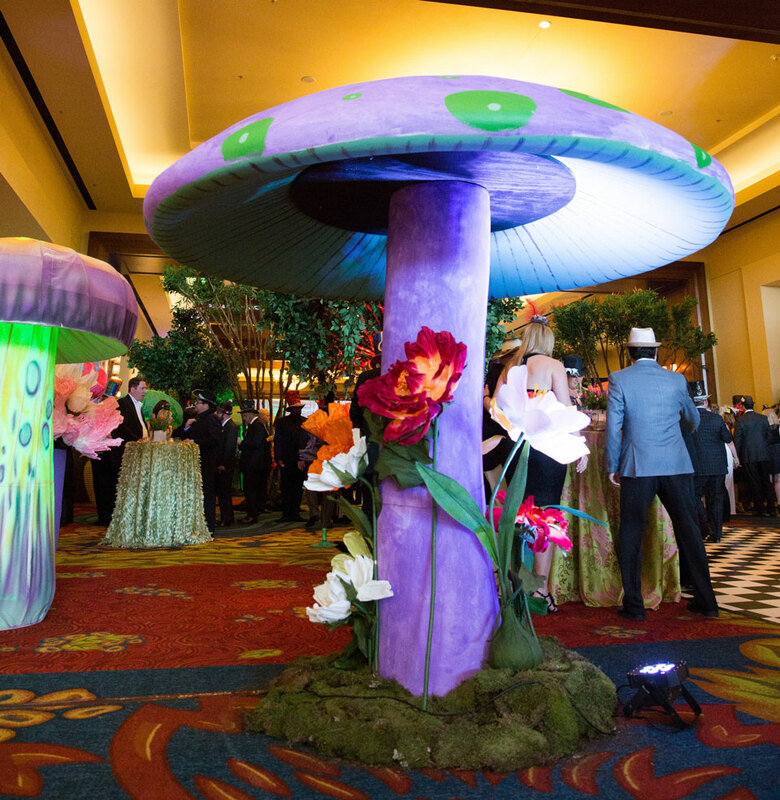 An enchanted forest with a variety of textures and color shading beckoned the imagination as guests walked through. 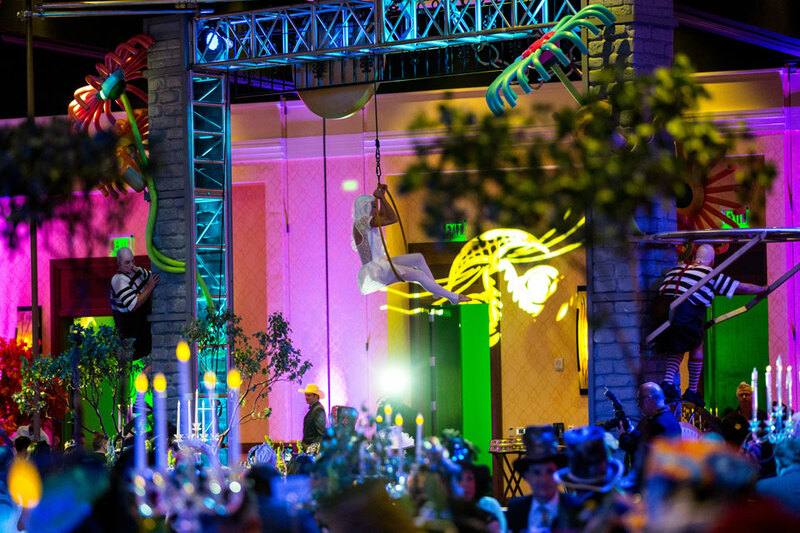 A fantasy room filled with acrobatic aerialists, contortionists and characters in costume right out of the famous novel kept guests engaged and entertained all evening. Infamous twins, Tweedledee and Tweedledum dance and sang through the reception giving everyone the sense that they too had gone through the magic Looking Glass.